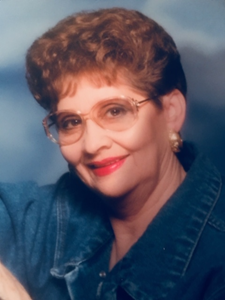 Margaret A. Higgins, 87, of Olathe, died Jan. 20, 2019. Graveside service, Monday, Jan. 28, at 2:00pm at Oaklawn Memorial Gardens, Olathe, with visitation at 1:00pm at Penwell-Gabel Funeral Home, Olathe, KS. A reception will be held at the American Legion Post #153 following the graveside. In lieu of flowers, memorial gifts are suggested to the family to assist with expenses. It seemed like only yesterday that I started my first bartending job at the ripe age of 22, in the River Bottom area of Kansas City, MO. Kansas City was sure different than the hills of the Ozarks, where according to my brother and sister my parents found me under a weeping willow tree in June of 1931. We moved around a lot when I was younger, and eventually moved to Olathe, KS. My angel, Sandra, didn't care for the place or the BBQ joint we opened. Later on, I moved along to the Olathe Tap Room- that was fun and interesting and I learned a lot ( because I really didn't know too much at that point). As time went by, I was given the chance to work at the Eagles Organization by the lake. Of course, I was tough on some folks, especially if they said a four -letter word. It's funny, because since my name was Elmore at the time they thought I was married to Larry Aelmore; he watched and took care of my daughter often. I always told everyone that I was his #1 wife, and Van was #2. I started to work at the American Legion in Olathe when the Commander was Guy Italino, then Bill Maggard, and we were in the basement of a church uptown. When the Legion moved to their new home, I followed right along like a fixture. I have been a long-time member of the Legion ( since Christ was a Corporal) and worked for the organization for over 20 years. I must have been good! I enjoyed some great years there, and would still be there if I hadn't become ill. So today, to all my friends, family and customers and all of you "adopted kids", it is the LAST CALL for me. Don't think I won't know what you're doing because I will. I applied to God to work as Bartender/Server. I will miss our trips to Las Vegas, seeing George Strait in concert with my friends, and not only my daughter but my grandkids and my great-grand kids- I loved doing things with all of them. Ya'll will hear that whistle blow, and that's my train to Heaven. I will get to see my ex-husband, Tom Adams (died in 2016) and my mother ( died in 2014). Who knows, maybe Tom and I will re-marry...Hold On, Conductor! You that are left here on earth carry on the family tradition: my loving daughter Sandra K. Cusick, my hippie grandson Conan R. Carling, my beautiful, tough-as-nails grand-daughter, SSG Tiffany Lafountain and husband Scott, my great-grand-daughter "Ski Bunny" Cora Carling, "Princess" Addyson KLynn French, and my buddy and caring great-grandson Christian Cordell French. Bubba (Christian), keep an eye on your mom and nana, you know how they are. I love each one of you- Grandma Margaret. Add your memories to the guest book of Margaret Higgins. So sorry to hear that Margaret has passed through the veil. She was a beautiful lady with a heart of gold. I am sure the folks in Heaven that were so dear to her heart are hosting a big party for our sweet lady?????? Sandy, I'm so sorry to hear about your mom. Last time I talked to her was when mom passed. I've tried to reach you but will see you Monday. What a great story Margaret! You have always been like a second mom to me. If mom didn't yell at me, you would. I have many memories of you and Sandy as a kid. I loved listening to your stories with mom especially one about you and Mom being out and when you two got home you tried to avoid dad and went to the spare bedroom and sat on the bed and it fell to the floor. Dad had taken the slats out. Now you and Mom can sit and reminisce of all the good times you had. Miss you both so much and all the Thanksgivings and Christmases we spent together. They will never be the same. Watch over us all down here. Love you bunches! I loved the Last Call. It sounded so much like Margaret. Bob and I met Maggie several years ago at the American Legion. I am sure her and Bob are hugging at this time. She had a big heart and I will cherish the memories we had together for the rest of my life. My thoughts and prayers are with Sandy and the rest of her family. We always enjoyed Margaret's company when at the Legion. Stories, jokes and laughter always in the air. The best drink during warm weather was "Magiritas" since we mostly called her Maggie. Maggie will be missed by all.